Current media rhetoric has recently been hyper focused around notions of exclusion, anger and misunderstanding between various groups of people. It is at this time that I am particularly rejuvenated by watching a poignant film which suggests that a meaningful connection between two people coming from very different “worlds” is not out of reach. 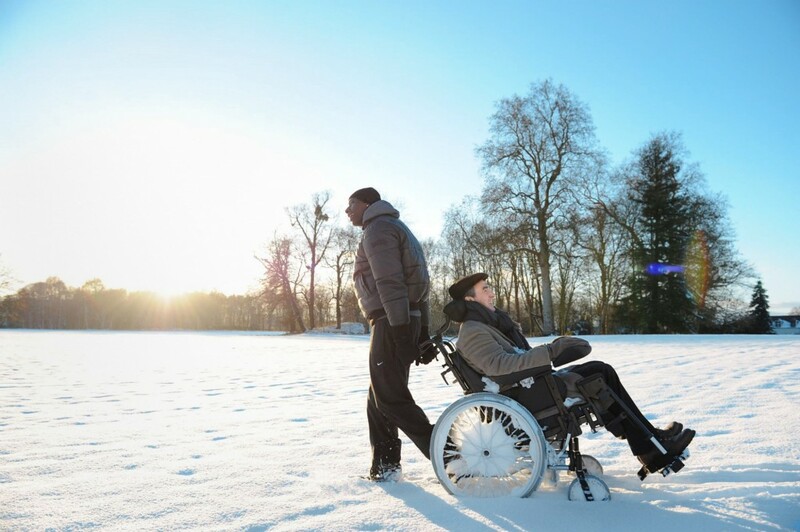 The film “The Intouchables” relays a timely tale of harmonious connection and mutual respect between two individuals, who come from very different social spheres. This film is powerful in its overt message challenging traditional views of disability; begging questions, such as: “What truly limits one’s engagement and participation in a full life? What does it indeed mean to have a full life?” These questions represent a few contemplative moments that will likely arise for viewers while watching this movie. 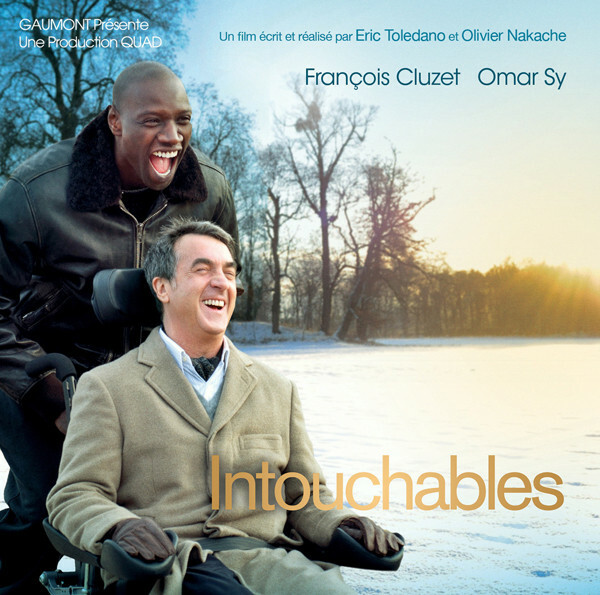 The movie “The Intouchables”, a film directed by French screenwriters Olivier Nakache and Eric Toledano, is based on a touching true story of a wealthy business man living with quadriplegia and his unorthodox caregiver, Driss. Philippe, (played by French actor François Cluzet) sustained a cervical spinal cord injury, resulting in immobility of his arms and legs at the age of 42. Philippe’s background is one of wealth and privilege, however also one of death and trauma (he lost his wife about a year after he was injured). By the time, Driss (played by actor Omar Sy) enters his elaborate mansion to “apply” for a posted job as a hired caregiver, Philippe is in a state of depression, having limited social contact with the outside world. Initially, not only does Driss have no true interest in working as Phillipe’s caregiver, he also appears to have no pity for Philippe, who must use a power wheelchair for mobility tasks. Phillipe, refreshed and intrigued by Driss’s ingenuous behavior, convinces Driss to come and work for him despite his lack of experience, or desire, to be his caregiver. From there the screenplay unfolds captivatingly, inviting the viewer’s attention with seemingly blasphemous scenes, such as when Driss pours hot water on Philippe’s insensate legs, surprised by the lack of reaction; or Driss insensitively telling Philippe to pick up a ringing phone, forgetting that Philippe has no ability to use his hands. However, the provocative nature of these scenes are overshadowed by the recognition of the audience that Phillipe is grateful for genuine human interaction; one not clouded with excessive pity and discomfort with his physical impairments. Cluzet portrays this well throughout the film as he, Philippe, begins to repossess a desire to live, to laugh and experience the world. There are many scenes, including the opening scene, where Philippe and Driss essentially embark on a “joy ride” in his Maserati Quattro Porte, being chased by police officers, and the invigorating scene where Philippe goes paragliding again, which was the activity that led to the cause of his injury. This openness and newly adopted vulnerability changes Philippe’s life in a variety of ways, including allowing himself to engage in a romantic relationship toward the end of the film. All the while, Driss stands by making crude jokes, and yet is still able to provide just the correct amount of “nudging” encouragement for Philippe to go out and live his life again. The film is brimming with light-hearted adventure and humorous interactions between Philippe and Driss. However, this film demonstrates a wonderful conglomeration of amusing interactions and meaningful messages that incorporate powerful principles of disability, participation and human connection. Philosophical concepts of paternalism, autonomy, and the ever abstract definition of “a fulfilling life” weave a fine, complex thread throughout the film. Viewers may find themselves belly- laughing one moment, and in the next, wide eyed in wonder and thought, about how they may react given a life-altering situation where much of their presumed “capabilities” are taken away. The actors also fill their roles strikingly, initially highlighting the stark contrast between each other; Driss, a dark skinned, rough bred young man from the projects, standing in stark contrast to Phillipe, a fair skinned, royalty bred former entrepreneur with lavishness surrounding him. These apparent differences help set the stage for quirky and meaningful interactions that weave a story of friendship, harsh realities and redefining the term “independent”. 2013: Outstanding International Motion Picture, NAACP Image Award, Los Angeles, CA. 2013: London’s Favourite French Film at a gala event held in Paris, France. In addition to winning the above awards, the movie was nominated for awards in many countries across the globe. It has earned superior status and recognition as “the most successful French film” in many regions of the world such as Denmark, South Korea, Columbia, Peru, and New Zealand. After seeing this movie many times, I am not surprised by the prestigious reputation the screenplay has earned. While the film’s poignant messages resonated with viewers across the world, it has also provided me with unique opportunities in my personal life and career to help others explore a more humanistic side of working and living with those who have disabilities. As a clinician and educator, I have leveraged the important concepts of this film by hosting opportunities for my students, as well as patients, to view this film. In hosting these viewings, it is my hope to instill the importance of genuine human interaction, by “humanizing” the experience of living with a disability. As oxymoronic as that may sound, (to try and humanize a lived experience), I believe this is an area we lack in as a culture. In my experience, it has led some of my students to ask introspective questions such as: “If I lost all/most of my physical capabilities, could I still be happy/content?” It positions them to take a moral inventory of their professional goals; identifying a purpose behind their practice. If Doctor of Physical Therapy students, or physical therapists themselves, do not believe in the ability to truly “live” after a severely disabling experience, then how will they help others to believe in that possibility? The answers are multi-faceted and complex, similar to this film. However, such personal philosophies are worth contemplating, and “The Intouchables” is definitely worth watching. 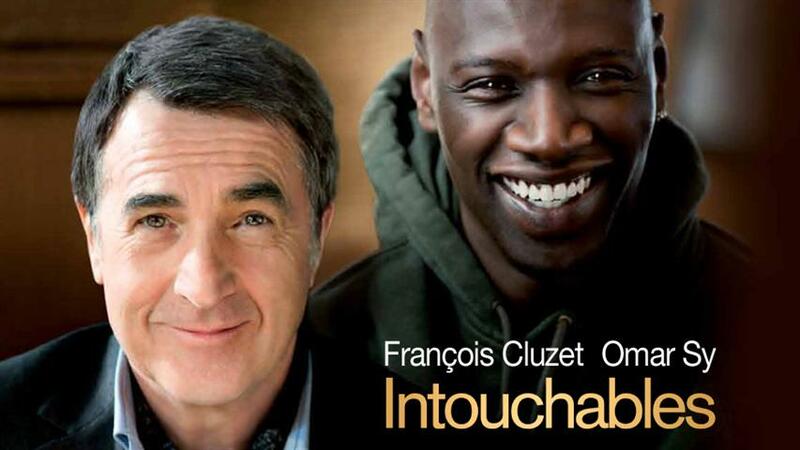 Click here to view more clips from The Intouchables on YouTube. * An interview with Philippe Pozzo di Borgo and Abdel Sellou, the friends who inspired the movie, can be found here. Nakache O, Toledano E. The Intouchables. [DVD] France/US: The Weinstein Company; 2012. Sarah Caston, PT, DPT, NCS is an Assistant Professor in the Emory Division of Physical Therapy, Department of Rehabilitation Medicine. She received her BS in Rehabilitation Science from the University of Pittsburgh in 2008, with a certificate in Psychosocial Issues in Rehabilitation and Self Care. Dr. Caston is an alumnus of the program and she received her Doctor of Physical Therapy degree from Emory University in 2011. Dr. Caston was a clinician for a number of years before joining the division as a faculty. She obtained her neurologic clinical specialist certification in 2013 and became an APTA Credentialed Clinical Instructor while in clinical practice. Dr. Caston’s primary teaching responsibilities within the DPT program are courses related to geriatric and neurologic rehabilitation, and she serves as Assistant Director of Clinical Education. Dr. Caston’s current areas of interest and patient care include neurologic and geriatric rehabilitation, qualitative study regarding lived experiences of those living with a disability. 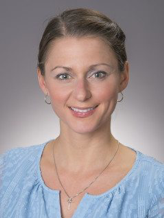 Currently, her scholarship is active in the areas of upper extremity recovery and caregiver experience related to stroke survivors, the use of media in the classroom to depict individuals with neurologic impairments, and methods of dual task training in the neuro-geriatric population. Consistent with a holistic approach toward patient care and teaching, Dr. Caston also has a passion for the incorporation of humanities in rehabilitation, and serves as a Faculty Assistant Editor to the Journal for Humanities in Rehabilitation, and a member of the Consortium for the Humanities, Ethics and Professionalism through the American Council of Academic Physical Therapy. Dr. Caston also has a passion for international service learning and has been a clinical instructor and faculty mentor for a community outreach program serving individuals with chronic stroke since 2012.